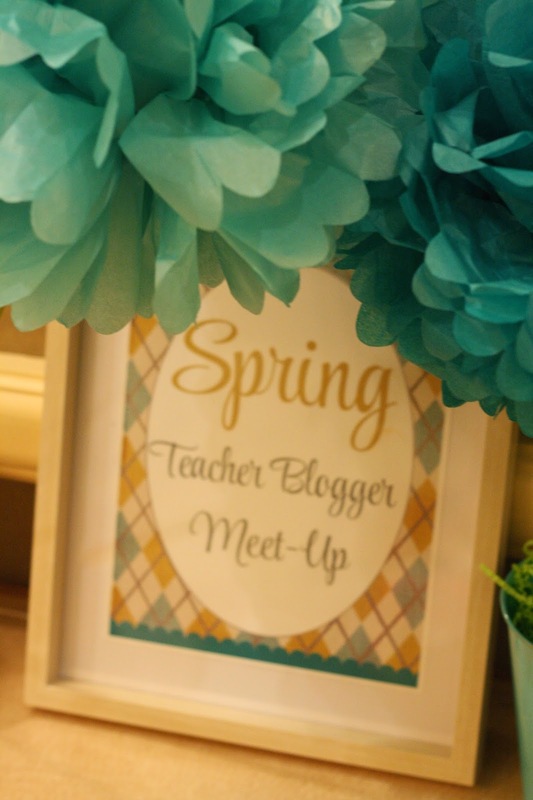 I've already posted about the awesome Spring Teacher Blogger Meet-Up that we had in March in French Lick, Indiana. Now, for even more details and chances for you to join in on the fun we had! Plus, you can see EVERYONE that was included by joining this amazing Blog Hop that Mrs. Pauley and Holly Ehle have put together! You are not going to be believe all of the amazing teachers that you are going to find through this Blog Hop! One of the fun activities that we did at the Meet-Up was that we brought a favorite teacher tool that we love to use in our own classroom and we'd like to share/swap with another teacher. We had a ton of fun with this. After passing and swapping the wrapped gifts over and over, I'd like to share the teacher tool that I ended up with. Dorothy Wilson over at Twenty-Something Teacher Tales put together this adorable little bucket of "Tools for Teaching." You can see the full description below. Who doesn't love Expo markers, hand santizer, and Starbucks!?! Oh wait....and CHOCOLATE. Notice, there aren't any pictures of the chocolate. You can see them at the very bottom of the bucket, if you look closely. Dorothy's Tools for Teaching were such a creative idea and a good reminder to take care of myself, spoil my students, and coffee is for teachers!!! (Love Starbucks!) Thank you Dorothy! Also, due to all of Holly's hard work, there were tons of great door prizes! Look what I won! Now, although there were a lot of prizes at this EPIC Meet-Up, we did learn a few things! It was a pretty open session and there weren't any scheduled or planned speakers, but instead, anyone who wanted to share tips and tricks, could do just that. I loved this social, meet-up type format because you know how teachers always sit and talk anyway! Well, we were allowed to! 1. NEW FRIENDS! Meeting new people and taking a fresh look at teaching. I loved hearing about another school, what they are doing there, and how some things are the same as ours, but some things are much different. It was a breath of fresh air! I traveled to the Meet-Up with Abbie (who teaches in the classroom next door to me), but we met these lovely ladies from Terra Haute! Allison (Me!) and Abbie (Tales From the First Grade) from Fort Wayne, Kelsey (Aloha to Kindergarten), Stephanie, Sierra, and Haley from Terra Haute. Since being back, I have already networked with these sweet ladies! Can't wait for the next meet-up! 2. 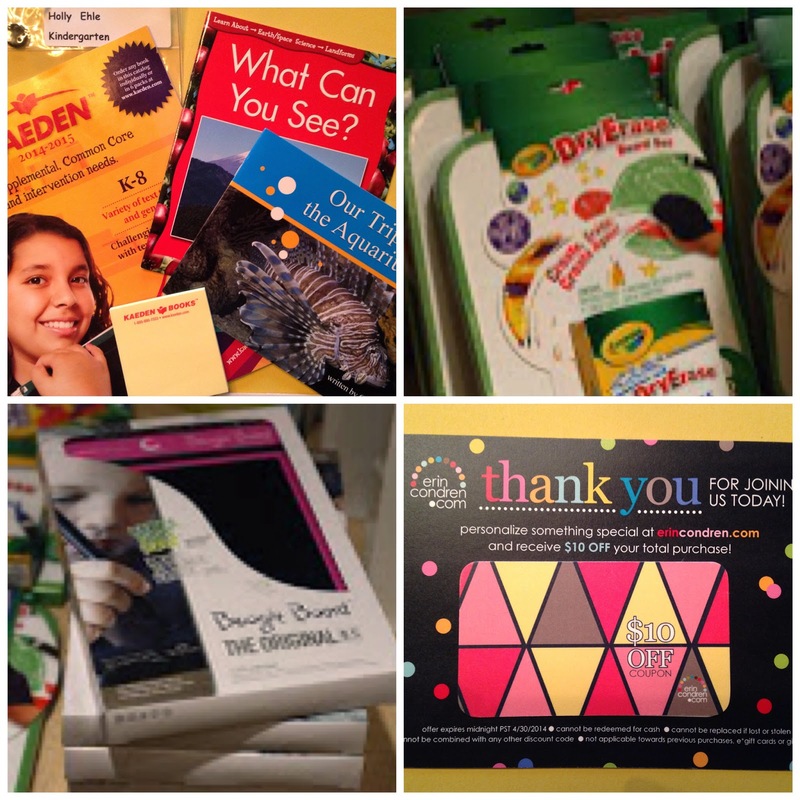 ORGANIZING tips from Dana Lester (Common to the Core) and Greg...the infamous Kindergarten Smorgasbord! They helped me get motivated with blogging again. Gave me tips on organization of my clipart, and also just tips on trying to make time each day to blog about something useful. Greg is right, we really do useful things everyday that others would love to hear about (okay, maybe some would like to hear about it more than others.) I LOVE blogging and creating products for TPT, so I truly need to find more time to blog and share my creativity and fun. That's what keeps me going in teaching, having these fun things to look forward to!! I love collaborating with teachers from all over the place and the wonderful teachers at this meet-up reminded me that I need to continue to network and blog! I love it! 3. UPCOMING LEARNING OPPORTUNITIES. 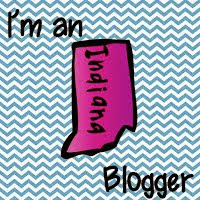 I was happy to hear some ladies from Scottsburg, Indiana announce they have a Technology conference coming up that sounded very interesting to me because it sounds like I could learn even more that could help me with blogging and creating things for TPT! I love learning new things and meeting new people!!! It's called Digi-Palooza and it's in Scottsburg, Indiana. ALL OF THESE PRIZES AND MORE! How can you win these prizes? 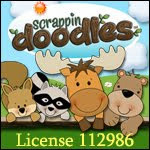 Well, just KEEP ON HOPPING through this Blog Hop, and be on the lookout for the Rafflecopter! Good luck! Now, onto the next FABULOUS teacher in this Blog Hop!! Click here to visit Marissa at First Grade Stars! I didn't know about the Scottsburg event! Great meeting you! Allison it was so nice meeting and talking with you. Wishing I was closer because that technology event sounds amazing! Allison, it was great to meet you in Indiana! That tech conference sounds amazing, I hope you'll share all you learn on your blog!! I am so glad you posted about that Scottsburg event. I may have to see if I can work that into my summer plans... It was great meeting you!! I am SO going to have to get some of those Frixion pens! I agree -- I found lots of motivation from the meet up! Looking forward to our next meet up!